Tuesday's gallop morning brought a junior clocker to the Murphy Racing organisation. Penny Neale, daughter of owner Troy Neale, visited Murphy Racing's new Golden Archer x Shamsie filly. 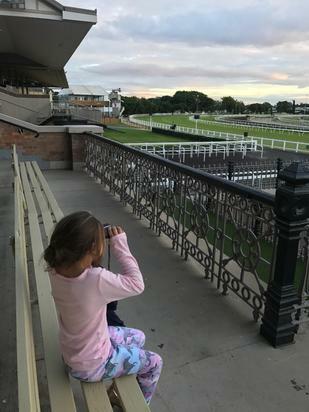 All set with her pair of binoculars (image below) she watched as David put the filly through her paces.